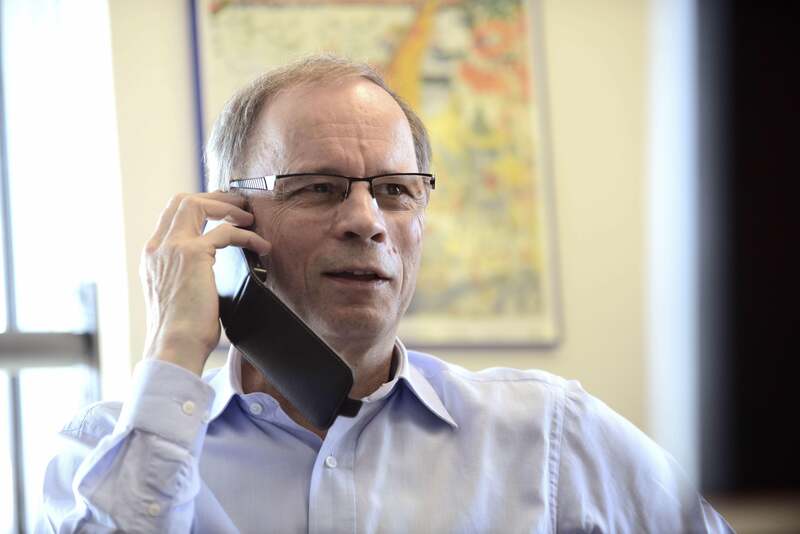 Jean Tirole wins Nobel Prize in economics: He was ahead of the curve on "too big to fail." The laureate of the 2014 Nobel Prize in Economics has a swag flip phone. There’s something a bit ironic about the work of Jean Tirole, the French economist who won the Nobel Prize today for his influential research on how to regulate large and powerful corporations. Even in papers published decades ago, the subjects of his work feel ripped from today’s headlines—he was writing about the threat of too-big-to-fail banks and the hazards of bailouts all the way back in 1996. Want to talk about how to prevent another financial crisis, deal with Comcast, or think about the meaning of a monopoly in the era of free Internet services such as Google and Facebook? Triole’s your man, and has been for a long time. Yet he’s not a name you’re likely to see all the time in the New York Times or Wall Street Journal. And “it’s complicated” is hardly a bad message for the Nobel Committee to be sending. “In the 1980s, before Tirole published his first work, research into regulation was relatively sparse, mostly dealing with how the government can intervene and control pricing in the two extremes of monopoly and perfect competition,” the committee wrote in its announcement. The problem is that perfect competition and total monopolies for the most part only live in econ textbooks. Instead, many markets are often dominated by a small group of very large companies—or oligopolies. To get the picture, think about today’s increasingly concentrated airline, music, or beer industries. Or the smartphone wars between Apple and Samsung. Or your local cable market, which probably has no more than two (deeply unsatisfactory) providers. As the Nobel Committee put it, “The best regulation or competition policy should therefore be carefully adapted to every industry’s specific conditions.” Another way to frame it: It’s not about light regulation, or heavy regulation, but smart regulation. Which is complicated.